Everyone knows that art fairs are commercial enterprises. 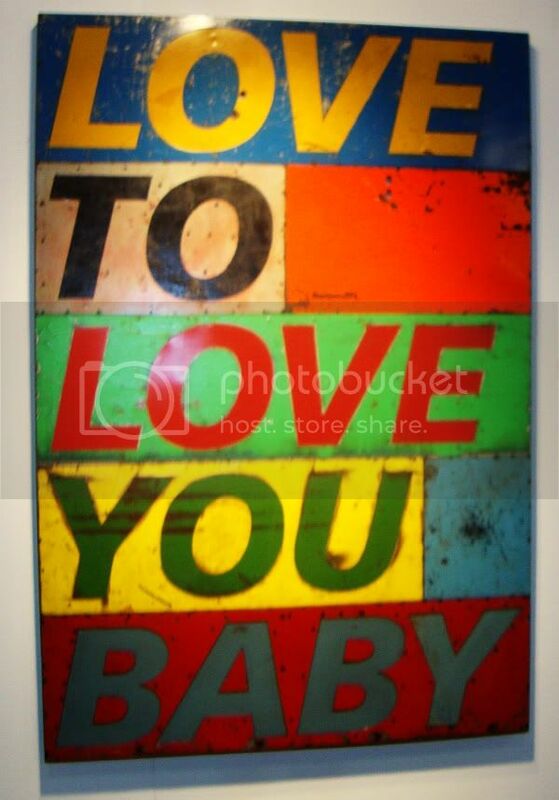 The point is to sell artwork to people for money. Money money money. 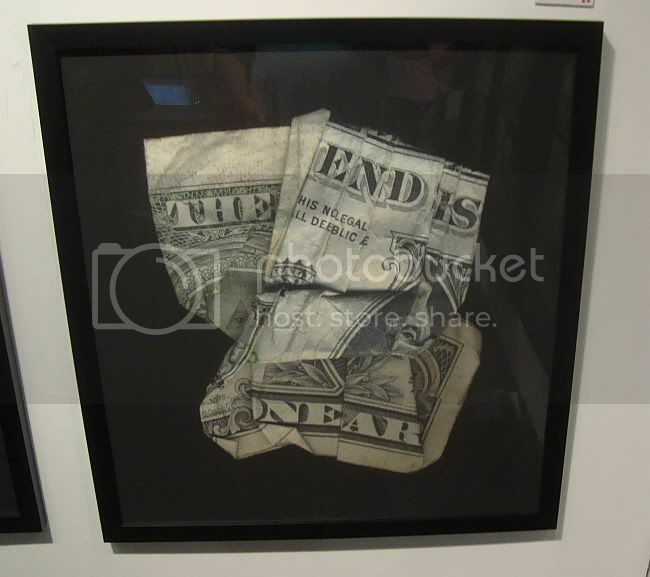 But what kind of freaked me out was how much of the art for sale was about money--and in some cases, literally made out of money! 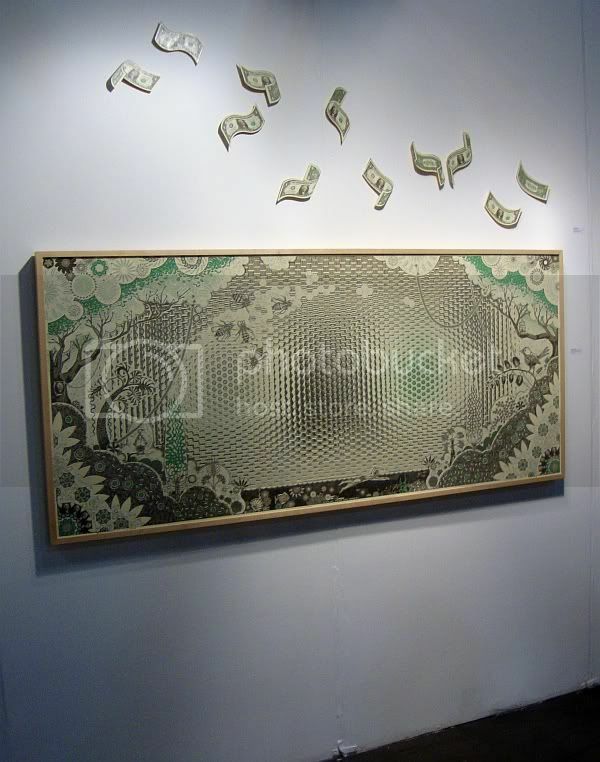 Mark Wagner had several pieces made out of carefully sliced up dollar bills at the Pavel Zubock Gallery booth, including the tour de force below. 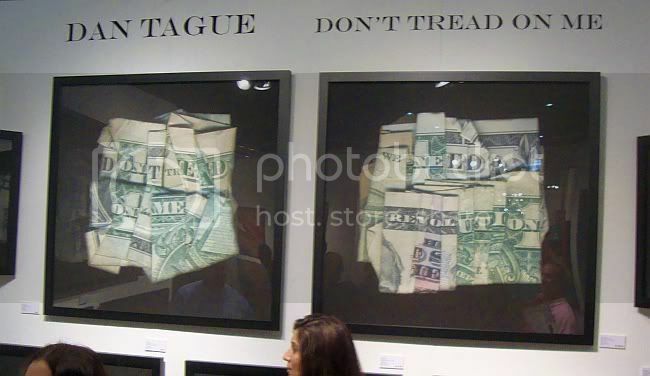 Not to be outdone, Jonathan Ferrara Gallery from New Orleans devoted their entire booth space to the folded dollar photos of Dan Tague. It wasn't just U.S. currency that was on display. 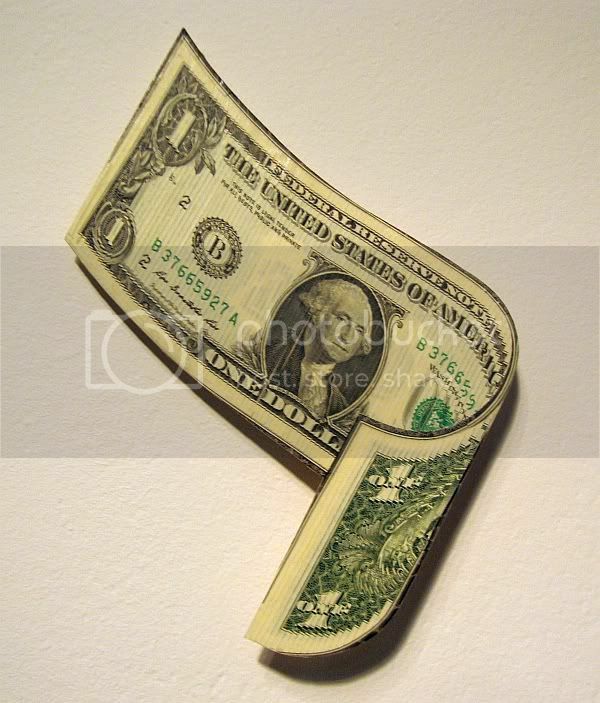 I'm pretty sure Santiago Montoya, whose work was displayed at Arte Consultores from Bogata, Colombia, used other currencies in his money pieces. 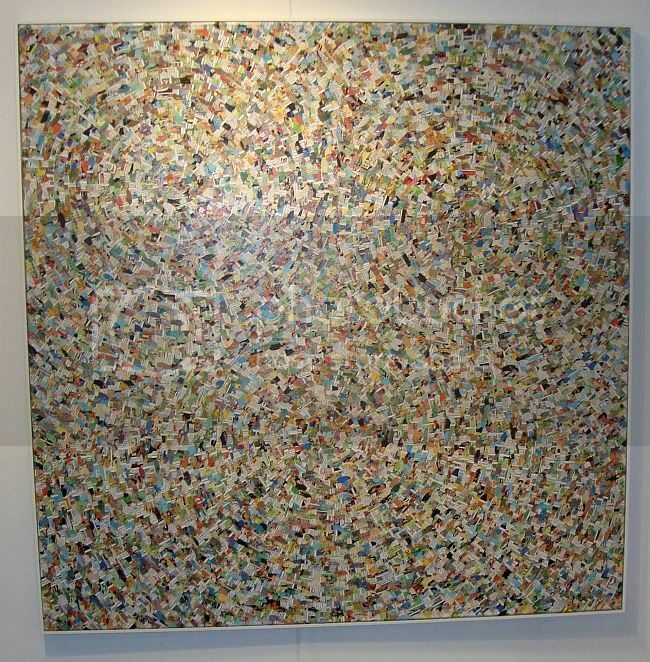 Galleries--next year, if you want to strike an original stance, show art made out of credit cards. The booths looked great--a lot of work was done to make them look just right. But what happens when you show up and you forgot to pack a display stand? You improvise. 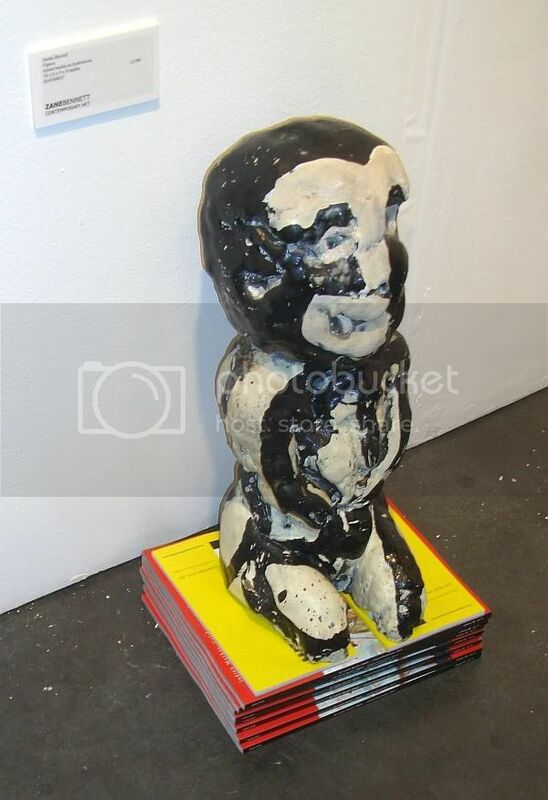 If you're Zane Bennett Contemporary Art, you place this $12,500 sculpture on a pile of magazines. I've mostly discussed art I like. I don't suppose it will surprise you that there was some pretty bad art there. 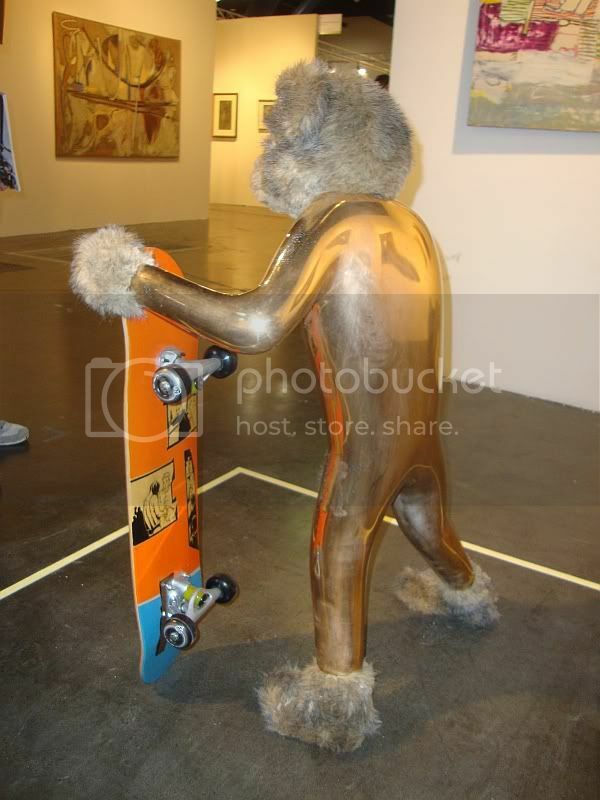 Glasstire even had its readers send photos of the worst art (here, scroll down). Here are a few of my "favorites." These lovelies were at Caldwell Snyder Gallery, which had a booth full of similarly bad art. 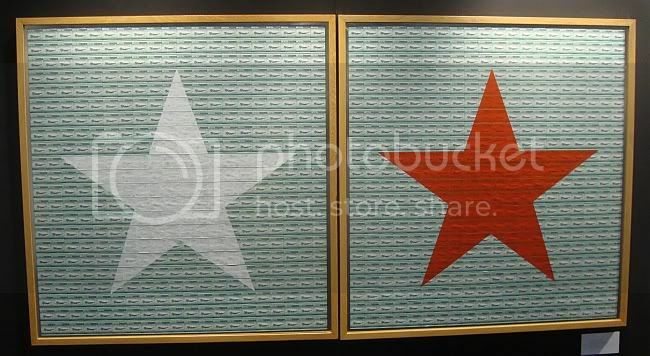 One can imagine a scenario of, say, North Korean artists being shown slides of contemporary American art and being asked to create something similar. 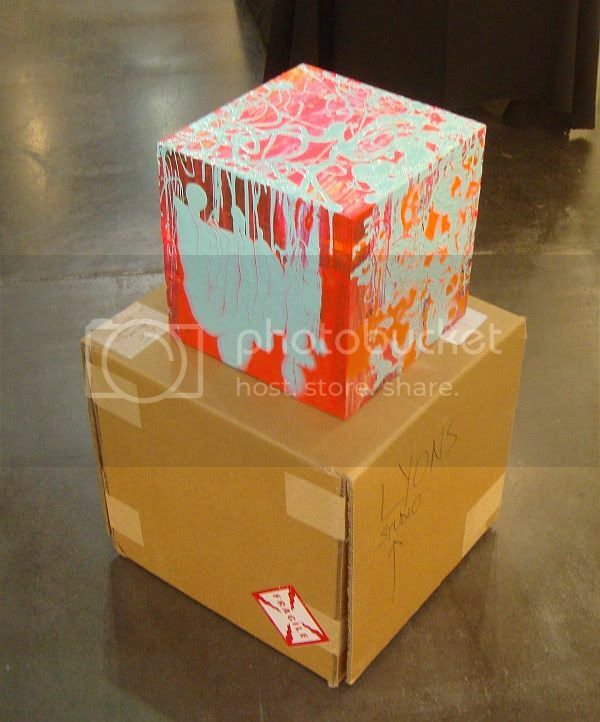 These pieces feel like imitations of contemporary art by artists who don't really understand contemporary art. I like Arman's early work, and I think the nouveau realistes are somewhat underrated. But then I see something like this and think, maybe they aren't really all that underrated. 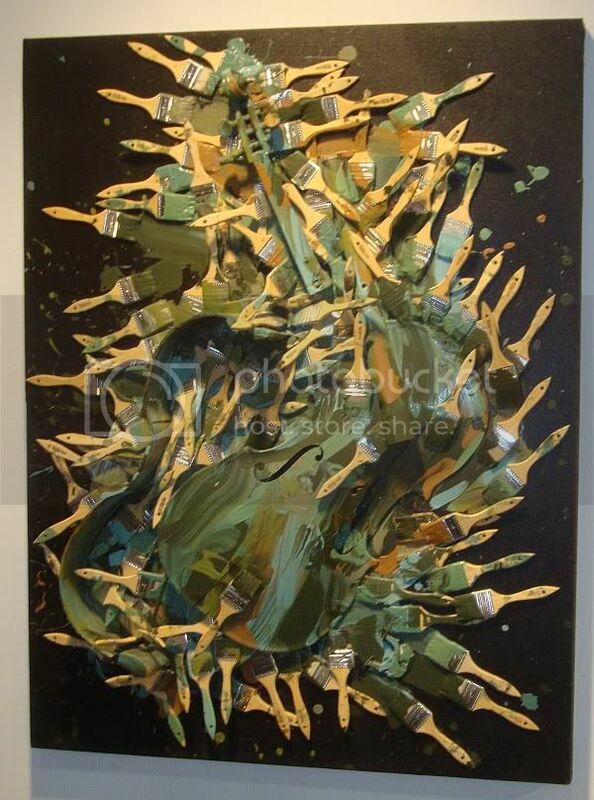 This piece was on view at the Riva Yares Gallery booth. I remarked in an earlier post how an art fair resembled a comic book convention with somewhat more expensive merchandise. 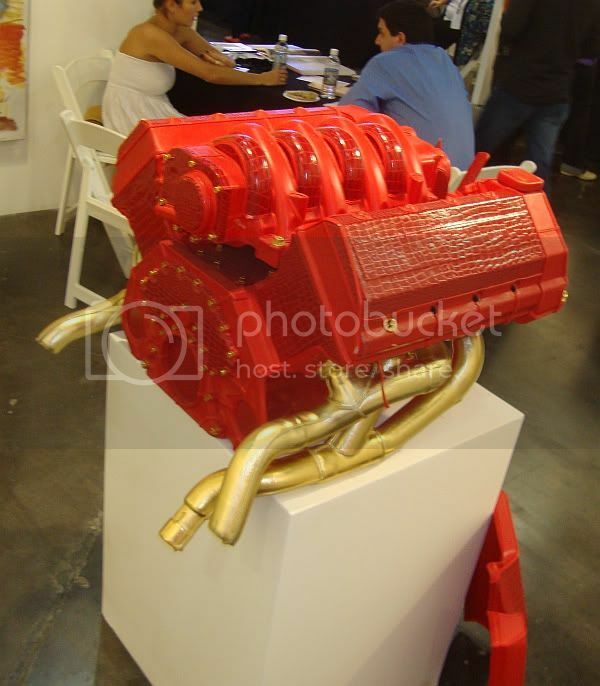 The Houston Fine Art Fair also resembled a comic book convention because it had comic book-esque art. 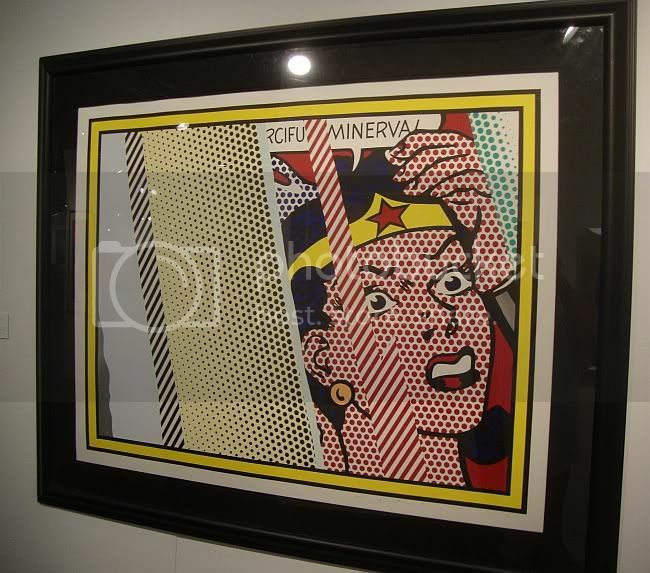 Roy Lichtenstein is the classic comics appropriator, but I was still surprised to see this piece at Hollis Taggart. Suprised for two reasons--first, I thought he stopped using comics as a source in the 60s. 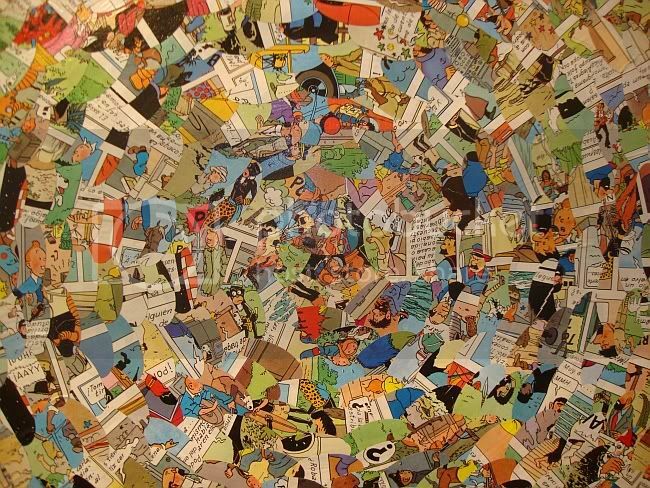 Second, his comics-based images typically were more anonymous--not well-known characters like Wonder Woman. And yet, here she is, in a prismatic dissolving visual space. Not bad. 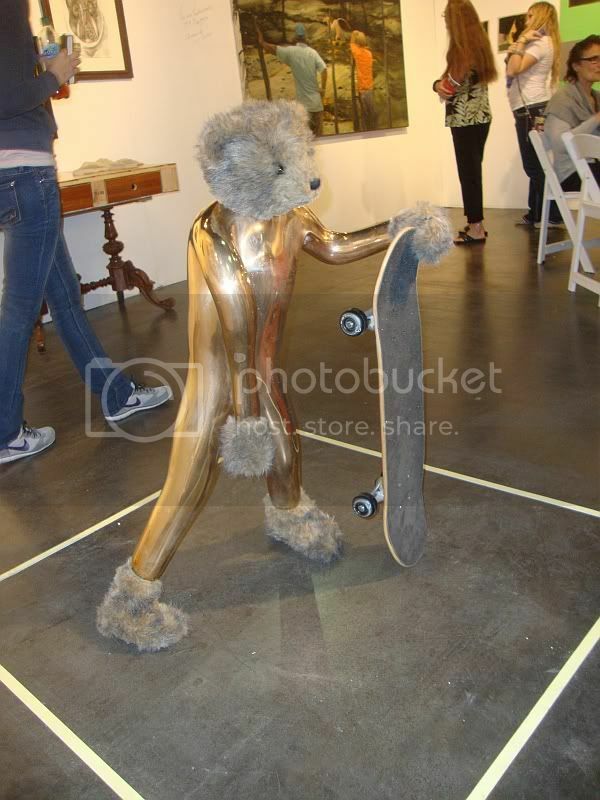 This piece was at the now contemporary art booth. And it appears from looking at her website that all her art involves pages of comics. 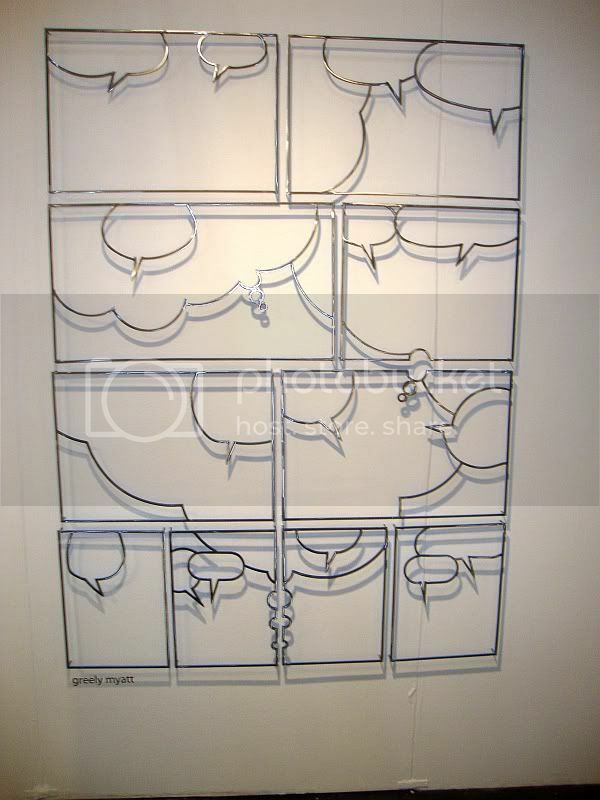 At David Lusk Gallery, there was this piece by Greely Myatt that distilled comics down to one of its basic elements--balloons (word balloons and thought balloons). 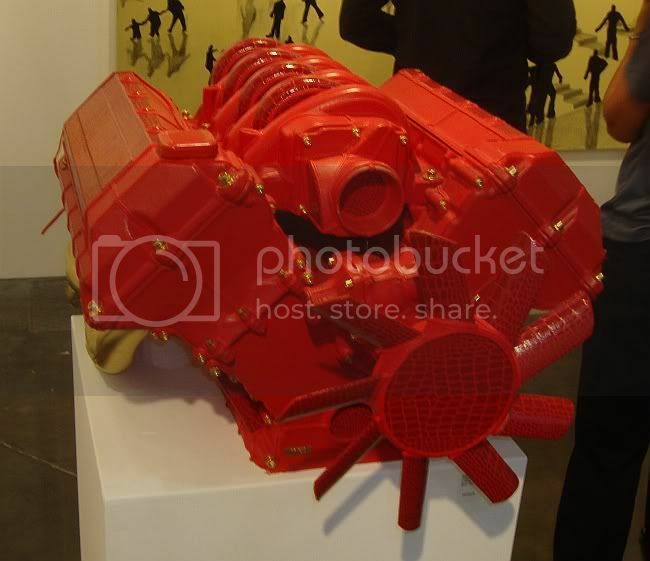 The overwhelming effect of this art was an appealing to the wealth flaunting tastes of the Victor Pinchuk's of the world. But that's what old money always says about the nouveau riche--their cash can't gain them class. I hate this art, but I kind of admire its brazenness. I'll continue this in part 3.